I have been all about quick, low calorie, healthy meals lately. I have made this meal for myself several times now and it always hits the spot. I am obsessed with the frozen brown rice from Whole Foods. I know rice is easy to make, but when you want dinner on the table in 15 minutes you can't beat it. You could easily double this recipe to make more servings. This recipe makes 2 servings. 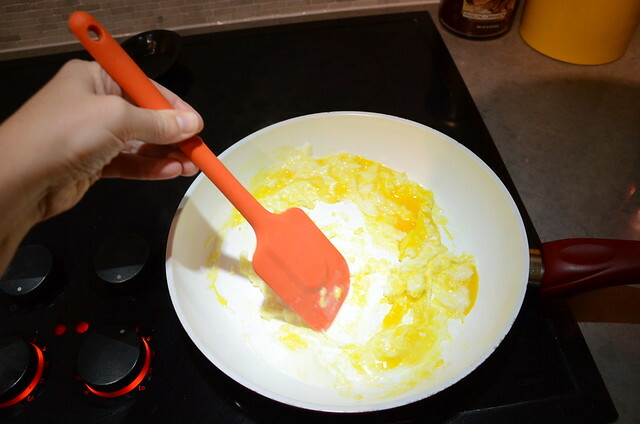 Crack the eggs in a preheated pan on medium heat. 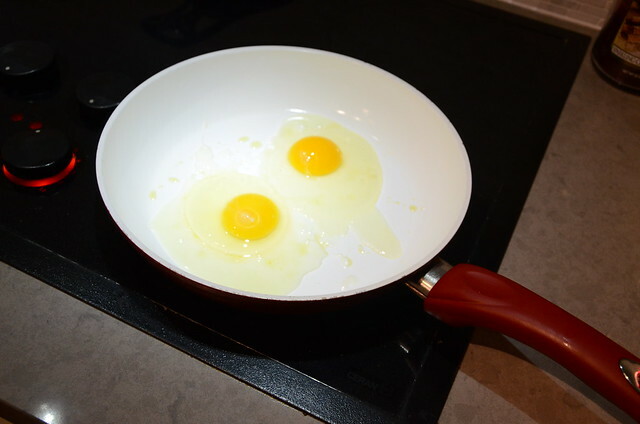 I did spray the pan with a little bit of olive oil, but you could use sesame oil instead. 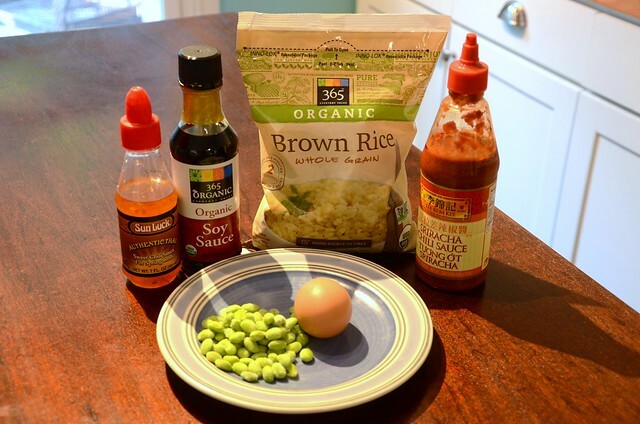 Once the eggs are almost finished cooking add the rice, edamame, and soy sauce. 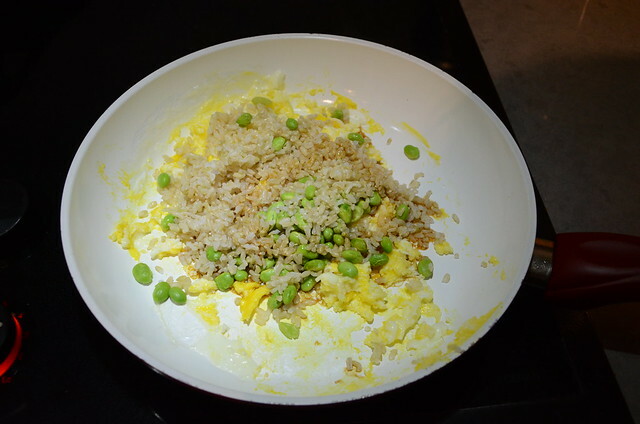 I microwaved my frozen brown rice and edamame for a few minutes and then dumped them into the pan. Add any additional toppings and serve. I added a little siracha sauce, sweet chili sauce, and a drizzling of sesame oil. Viola. Dinner in 5 minutes. This looks very appetising and quick to prepare. Thanks for sharing. That looks very yummy! 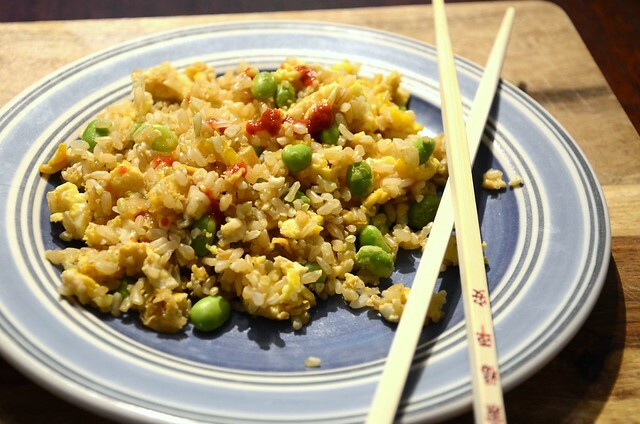 Brown rice takes so long to cook, that frozen is a great option. I will have to look for it, though, I don't have a Whole Foods near us.